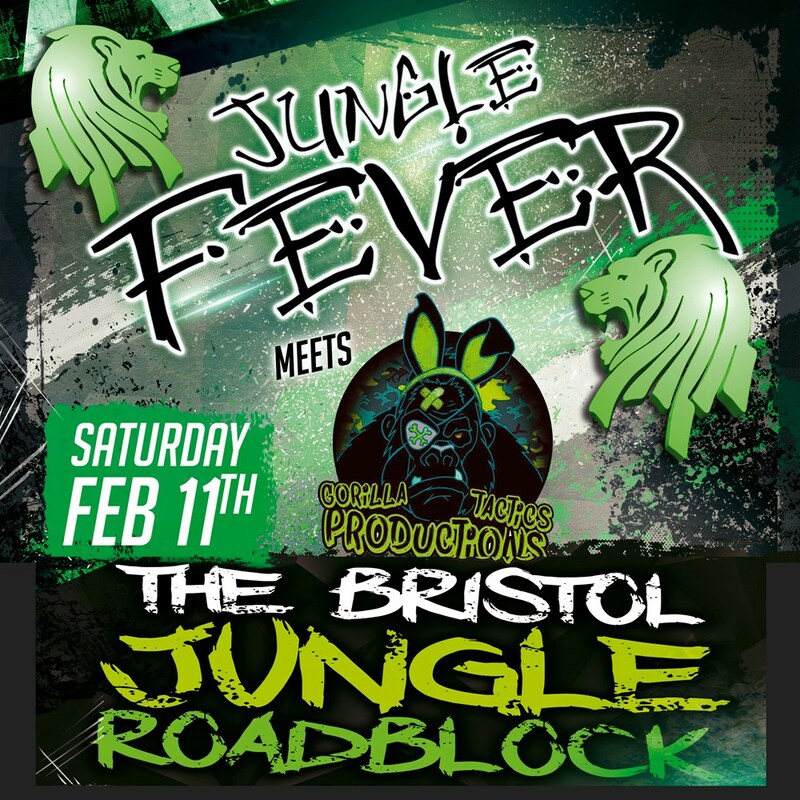 On the 11th February, the LEGENDARY old school rave JUNGLE FEVER will be touching down in Bristol at The Black Swan, for our first party of 2017. As the longest running jungle rave in the world, and arguably the most recognised and iconic, the lineup will be a whose who of Jungle Fever legends, cutting edge acts of now and local hero’s from both London and the South West, all playing the best in our beloved music from the past, present & future! Jungle Fever will be teaming up with fresh and forward thinking West Country promoter/production outfit GORILLA TACTICS for this monumental occasion in Bristol. Making a name for themselves over the past three years, they're the brains & brawn behind WRONG SIDE OF THE TRACKS, the long running party destination at Boomtown Fair, as well as promoting a multitude of jam-packed dances and events across Bristol & Bath. Known for their nutty decor, production and second-to-none programming, they will be drafting in some of the most heavyweight sound system crews and local talent to keep the Black Swan rumbling from start to finish.